I love this mirror! It’s perfect at the end of my hallway and was even easy to hang (by myself) level. Sturdy and doesn’t look cheap at all. 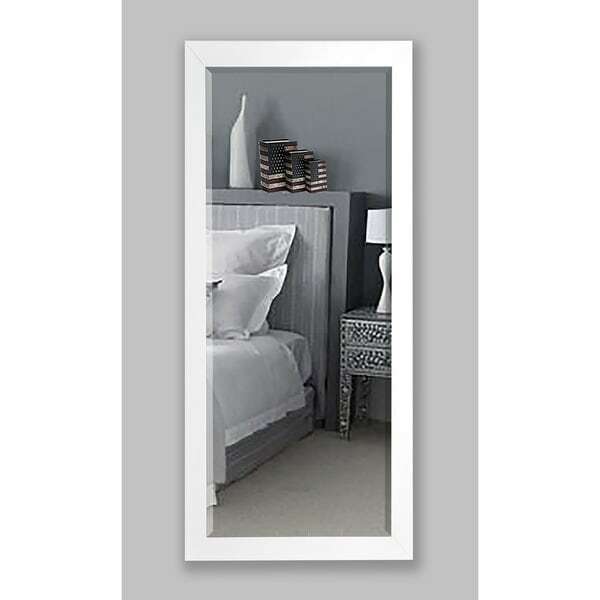 Hang this beautiful white wall mirror in your home as a stylish accent piece that fits into any decor. The frame features a luxurious white satin finish that exudes a classy style. The clean lines bring this piece into a transitional style that will beautifully complement your favorite room. Dimensions 30.5 In. X 0.75 In. X 71.0 In. Perfect oversized mirror! I have mine leaning against the wall - love it!